From Kashakoo to Merci Bon Dieu, Island Magic and Folk Expression were two albums released in 1971 and 1972, respectively by a Chorale group of talented folk singers in Dominica under the direction of the versatile composer, Jean Lawrence Mathurin. The land, the people and life are all vividly portrayed in pulsating Afro-Caribbean rhythms and the colorful expressiveness of kweyol (patois). The artwork on the front cover and disc was done by historian,Lennox Honychurch,PhD. 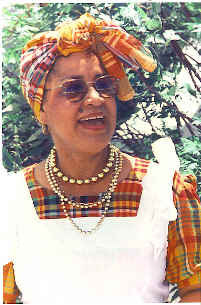 Jean Lawrence wrote, composed and arranged most of the 22 songs except "Land of Such Beauty" that was composed by Dr. Bob Maguire, "Sa Sa Ye Sa" composed by Cissy Mabel Caudeiron and the traditional "Ole Mas" medlies. "Oh Dominica" was originally a poem composed by E. George and V. Casimir,to which Jean added a chorus verse along with music to make it sound unique. 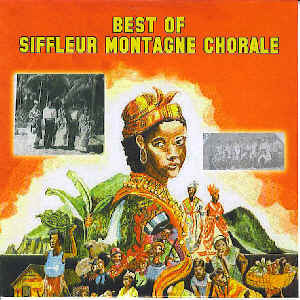 Other classics include "Timonde O la Ou Sorti", "Pas Embe'te' Moin" and "Toute Sa En Danye" that won Jean a National Creole Song Contest award in Dominica, in 1971. Jean has received many awards including a Meritorious Service Award from the Government of Dominica for her work with young people and her contibution to music in 1971, and also a Golden Drum award in 1999. Jean has also written and composed gospel and Christmas music including an album produced in St. Lucia in 1992. In 1994 she received an award by Pope John Paul 2 for her service to the Roman Catholic Church. Jean is currently the Directress of Music for the Diocese of St. John's/Basseterre and teaches music at a Roman Catholic school in Antigua.